You are here: Home / In His Steps / In His Steps Available for Preorder! We’re excited to announce that our feature film In His Steps, has been picked up for nationwide distribution by Bridgestone Multimedia Group! This new edition of the DVD will be releasing to Christian retailers on February 10, 2015, and will include some new bonus features! 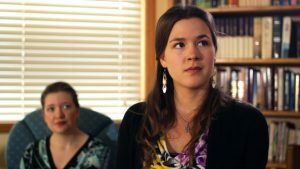 It is currently available for preorder online at ChristianCinema.com and ChristianBooks.com!